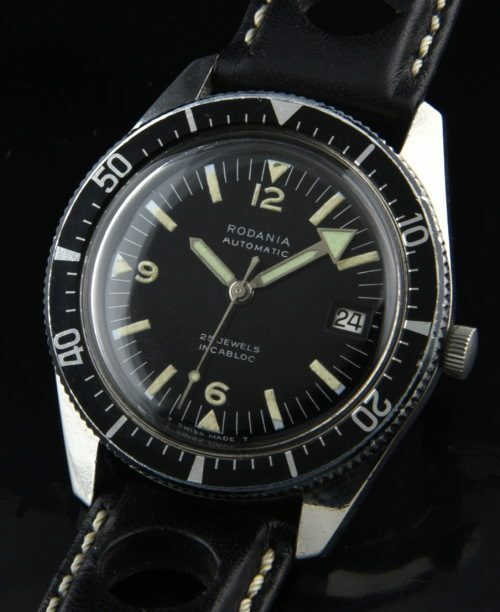 This RODANIA vintage 1960’s dive watch sure is reminiscent of an OMEGA 300! The original dial, hands and turning bezel all look excellent. I love the triangular minute hand. The steel 38mm. case with screw back also look very fine. The automatic winding AS movement was just cleaned and accurate. The turning bezel is original. These are the next affordable dive watches to collect whilst they are still inexpensive. ONLY $795.